Have you given bubble blowing art a whirl? It is soooo much fun, and it’s a great way to engage kids with outdoor art during the spring and summer months. We are over at Red Ted Art this week sharing the fun process of bubble blowing art and how afterwards you can turn the artwork into a beautiful bubble blowing art butterfly craft. Stop by Red Ted Art for the bubble blowing art how-to! 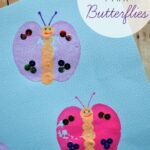 Then comes back here to our black glue butterfly art project so you can grab the free butterfly template to make your bubble blowing art butterfly craft. 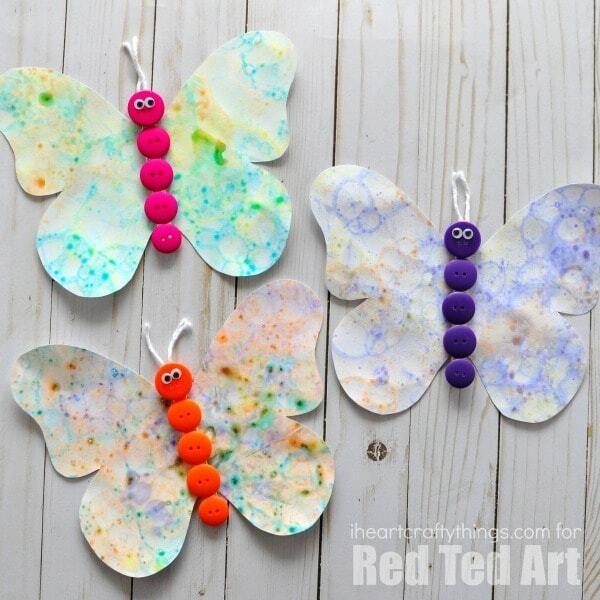 We love butterfly crafts every spring! 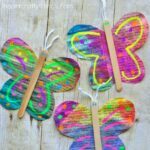 Here’s a fun way to make a butterfly with black glue, or an awesome way to make them with watercolors and glitter. 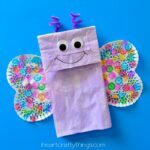 The little ones will adore this simple paper bag butterfly craft and butterfly finger puppets. If other insects are on your list, see this gorgeous Eric Carle inspired ladybug craft or these oh so adorable cardboard tube baby bees. You can also find a category for insects in our kids crafts drop down menu at the top of our site. Browse around a bit and you are sure to find a few or even dozens of fun kid crafts to enjoy with your kids! Looking for more ways to engage the kids with arts and crafts this summer? Take a look at these awesome zoo animal crafts that kids will love to make after a trip to the zoo summer. Or have a local bird aviary? Here are 11 amazing bird crafts for bird enthusiasts. This DIY Funny Face Flip Book is also a fabulous boredom buster activity for kids! Turn the electronics off and let the creativity flow making as many silly face combinations as you can think of.